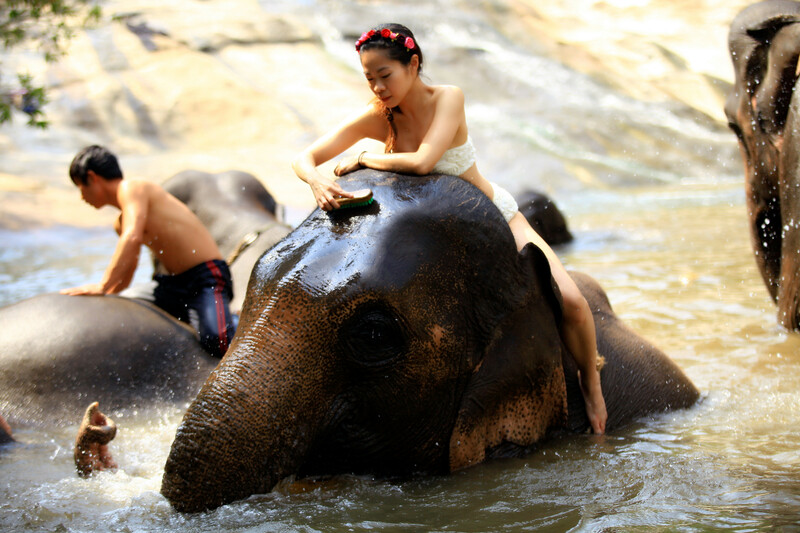 As you know it is a very popular thing in Thailand to ride an elephant or to see their talent performance. I was one of those tourists throwing back many many years ago when I had no idea what was happening. Now I just would say, DON’T EVER DO THIS!!!!!!! They are not supposed to be raised to get training for our joy. They have their lives, and their rights to live in the nature. Since then I researched carefully before I made any decision about visiting elephants. I don’t wanna put any more money in those people’s pockets who just raise their elephants for business. The animals are not treated well and they overwork or being tortured by the trainers and they don’t deserve that. 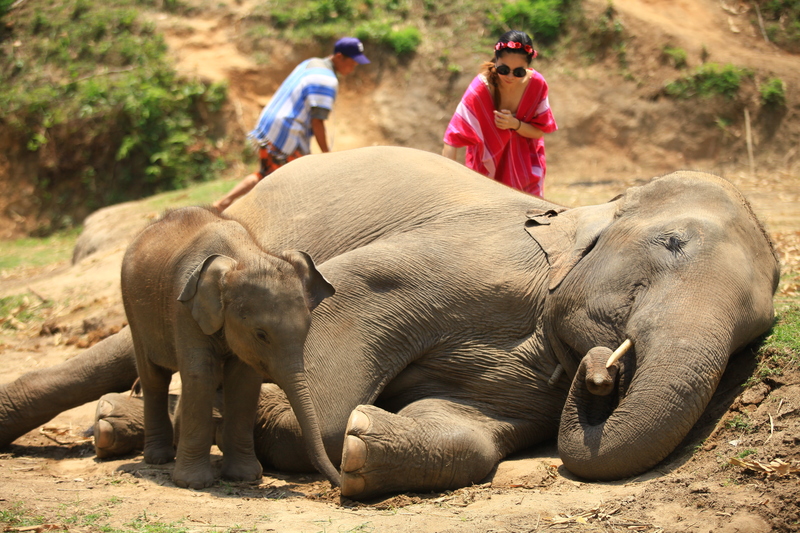 Last time in Chiang Mai I took a tour to an elephant farm located on a mountain. The elephants living here are rescued from different places for example circus, or adapted from the owners who were selling their elephants for financial problems. The program I took is called elephant owner for one day. An elephant mother was assigned to be my elephant. Since she gave birth a few months ago, she has a baby girl stays around her all the time!!! I felt lucky that I could own two (haha) and later I realized I actually had three because my baby girl has a best friend who is a little elephant girl and they always stay together. How lucky I was!! – we also learned some basic language to communicate with them. 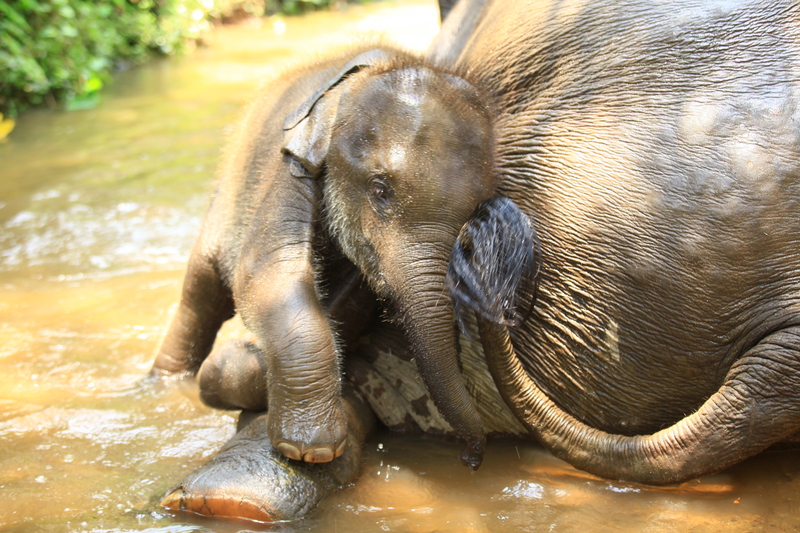 – we learnt how to clean our elephants and take them to shower. First we told them to lie down and let us clean the mud and dust. Later we took them to the water so it would be easier to wash after the mud was dropped. – took them for a walk. We were taught how to climb on them and ride on their rare backs. 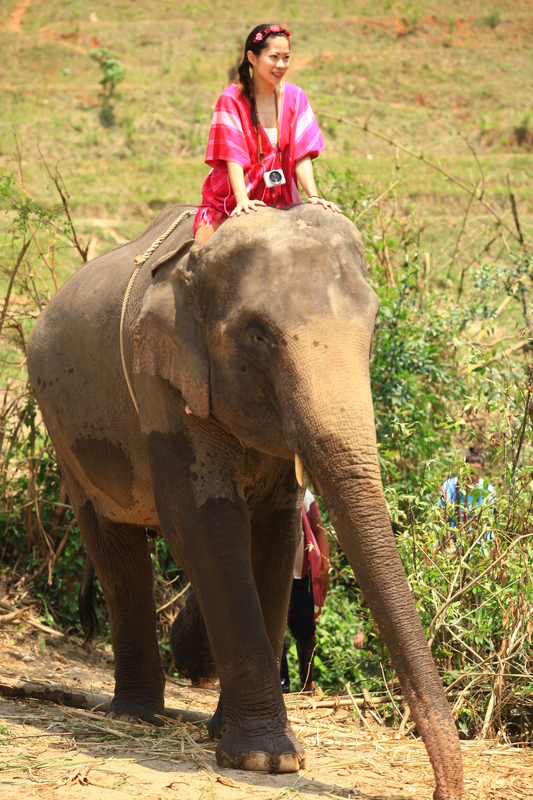 It is different from the elephant riding that people put the seats on them and make them carry customers and go for many rides in a day. we were not riding just for fun, this walk everyday is good for elephant’s health. They need exercise. – we took the walk over the mountain to a river with waterfall where we had a picnic for lunch. 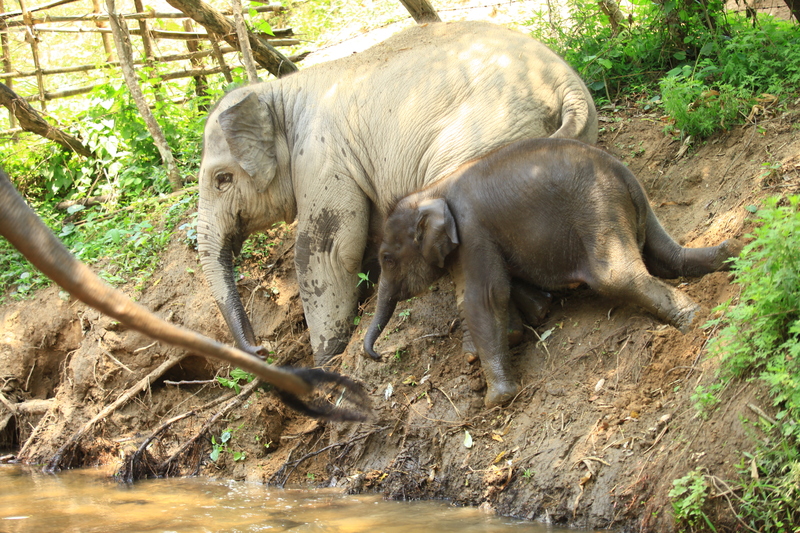 Later we took our elephants to the river and gave them another bath. That was the end of the day’s activities and later we rode them back to the farm. 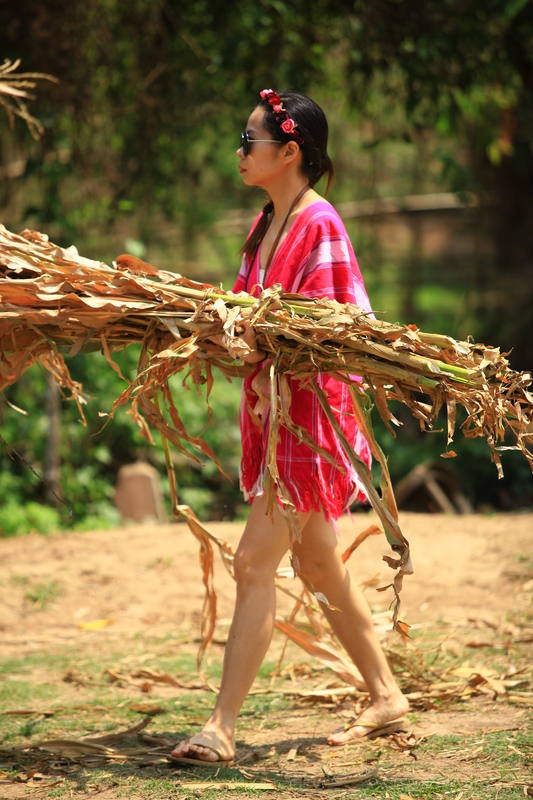 The pink thai shirt was provided by the farm. 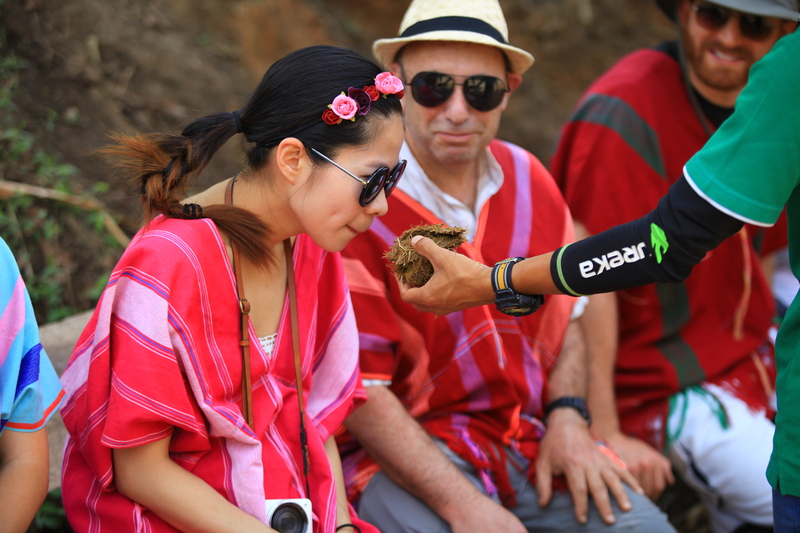 We all changed because the elephants are used to people around them wearing traditional thai clothes. So that we can get close to them more easily. Thanks for reading and I hope you enjoy this post, don’t forget to follow my instagram (@sweetjessc) for more instant updates of my journey.